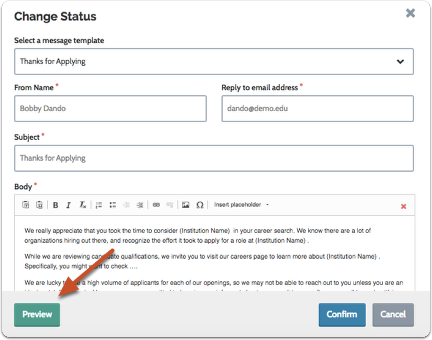 Committee Managers and Administrators can create message templates that notify applicants when the status of a position or application changes. 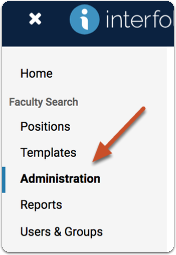 Message templates are created on the Administration page of Faculty Search. 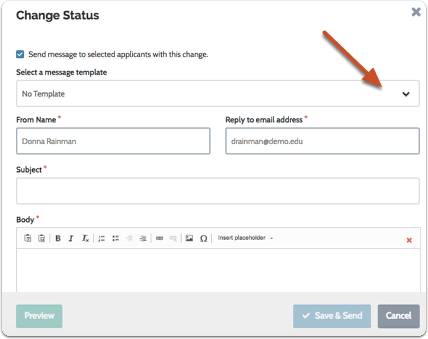 When changing the status of an applicant or position, you can select one of the message templates you've created and send it out to applicants notifying them of the change. Of course, you will always have the opportunity to edit and confirm messages before you send them. 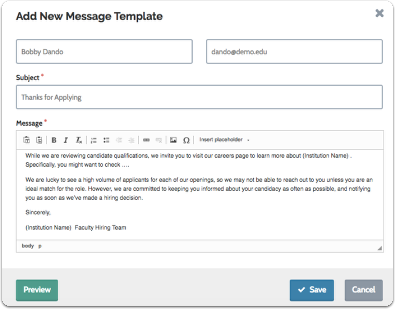 See here for a list of sample message templates. 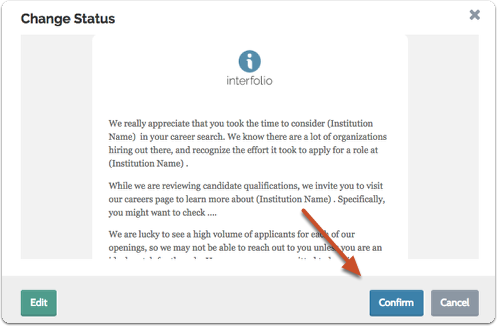 For example, let's say you want to send a message to all applicants thanking them and letting them know that you are now reviewing applications. 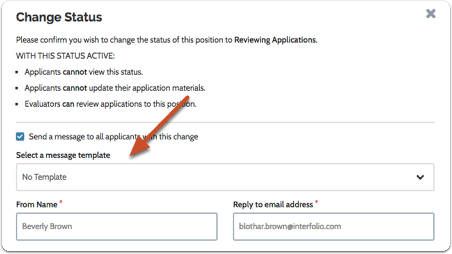 You will be changing the status of the position from "Accepting Applications," to "Reviewing Applications." 6. Confirm the message and make any necessary changes. 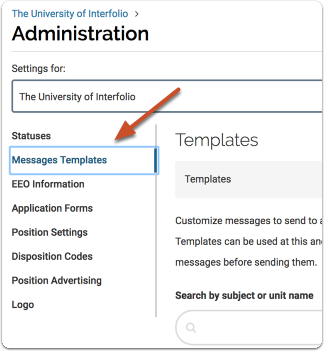 Click "preview" to see how the message will appear to recipients. 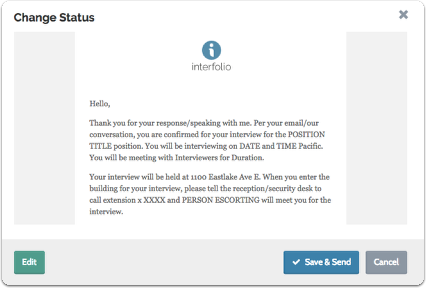 For example, let's say you want to send a message to only some applicants inviting them to an interview. 3. 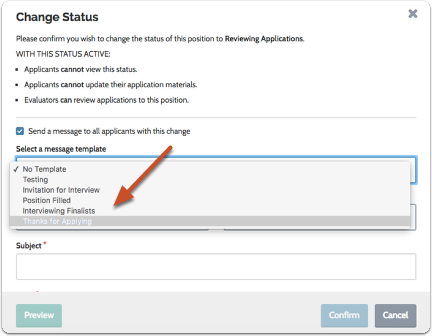 Confirm the change and select "Send message to selected applicants with this change"